The chemistry textbook I am following this year (Holt Modern Chemistry) begins with an examination of the six main branches of chemistry. I decided to give students a foldable to glue in their notebooks so they would have the definitions of each of these branches. At first, I considered having the students write all six definitions. Prior experience told me that this would take WAAAAYYY more class time than I would want to invest. But, I also didn't want to just give them the pre-printed definitions. So, I ended up making it into a matching activity. 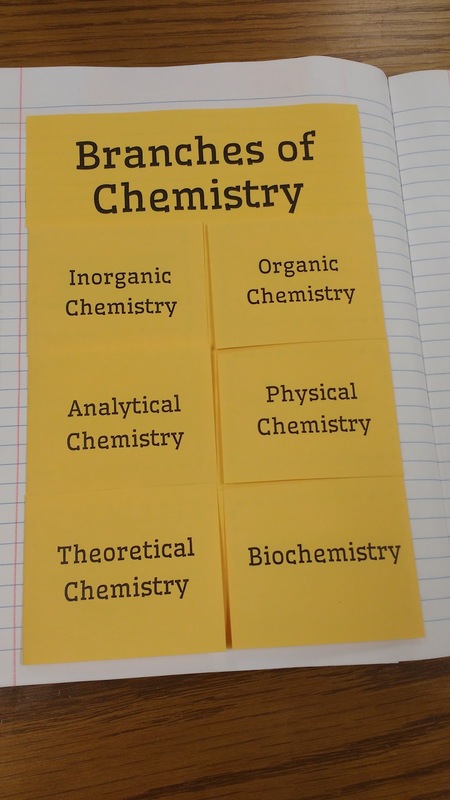 On the outside of the foldable, I pre-printed the names of the six main branches of chemistry. 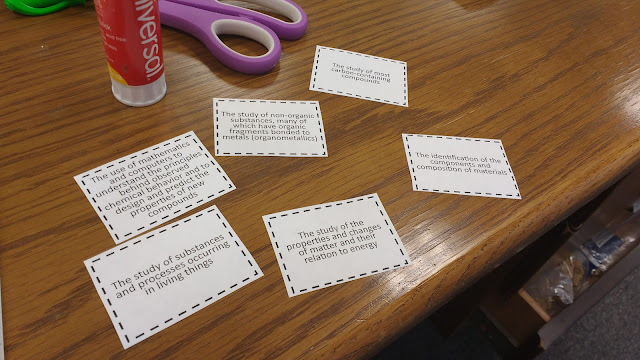 I then typed the definitions on small cards to give to students. 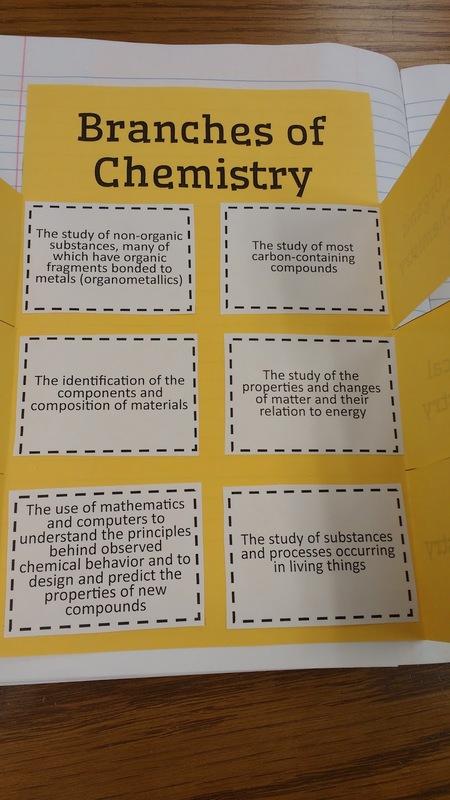 Students had to cut apart the definitions and try to match each definition to its appropriate branch of chemistry. It was fun to watch them looking for clues in the definitions and using prior knowledge from other science classes to try and match up the definitions. As we went over each definition as a class, students glued the definitions in their foldables. You can download the files for this foldable here. How Many Elements Can You Name?